Mountain Biking is a potentially dangerous sport. Ride within your limits in order to minimise risk of accident & injury to yourself & other riders. Adult Supervision is required for riders under 14 years of age. Riders are advised to always inspect structures before attempting them. Never assume that an obstacle is the same as when you last rode it. Riders attempt the structures at their own risk. Bike Parks accepts no responsibility for any damage or injury that may occur as a result of riding structures/obstacles. Due to the requirement for speed and elevation, riders must choose which structures they attempt carefully. Riders must strictly follow the specified trail direction at all times. 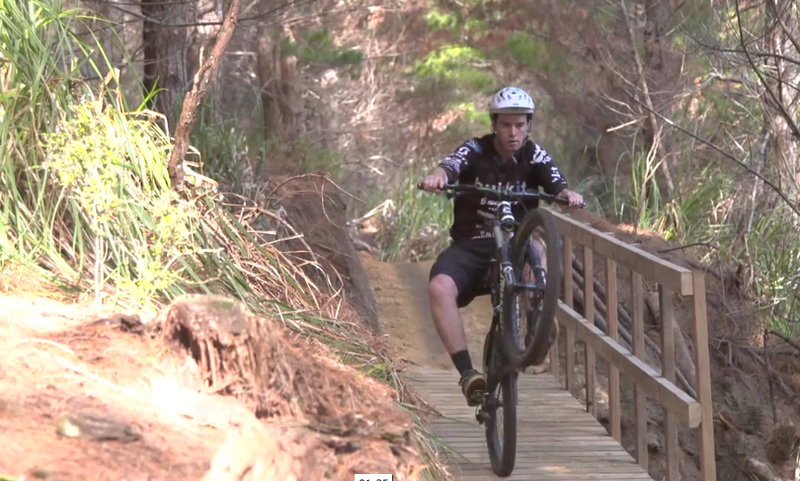 Riders should only ride named trails and within the boundaries published on Bike Parks maps. Changeable trail and structure/obstacle conditions exists at all times due to weather, forestry debris and terrain erosion; these factors effect the ridability of a trail or structure/obstacle and riders are advised to be aware of changeable conditions. Trails contain obstacles and terrain variations that can appear quickly; riders are advised to ride unexplored trails slowly several times in order to gain a good understanding of conditions. Trail signage and warnings must be adhered to at all times. Through collisions with natural or man-made obstacles, other riders, pedestrians, runners, recreational walkers and animals. Every day falls that occur through rider error or equipment failure. Accidents with forestry & public vehicles, & other mountain bikers when traveling on forestry roads & when entering/exiting the car park. * If participants bring domestic animals to the park, they accept all responsibility for the animals behaviour while on our premises. Riders agree to not hold Bike Parks Limited responsible for any injury or equipment damage incurred at this facility.